« Dingo Pictures: more titles found! The first time I actually spotted one was when I went to that special place in Germany known for one curious fact: once upon a time a colonel sent the King to serve in an army and he served his time there. Yes, I’m talking about Bad Nauheim. There is a very simplified model of Solar system there—just the outer planets. 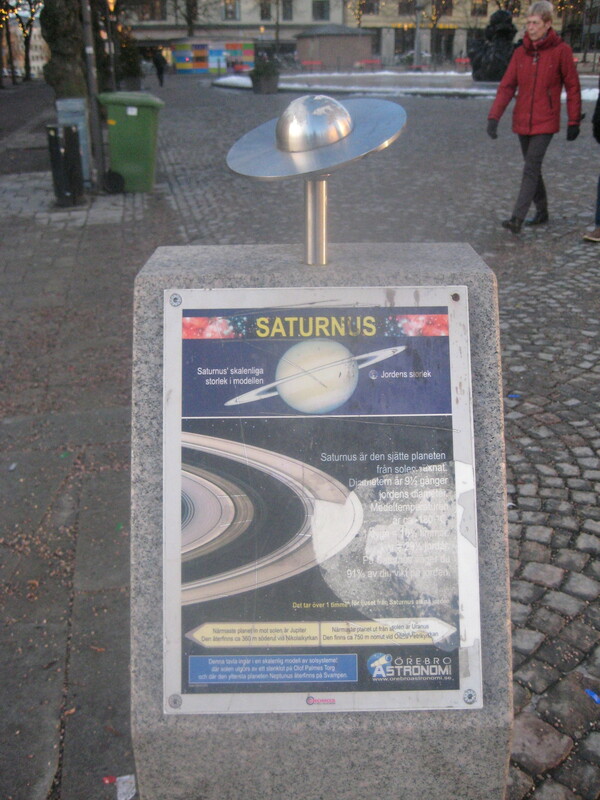 You can see the photos for all planets and in better quality in in German Wickedpedia. 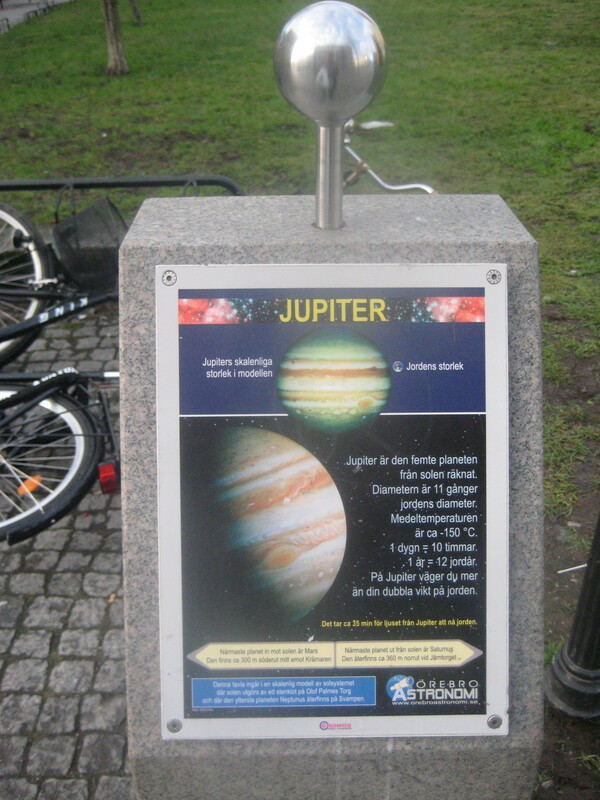 But there is at least one of the problems with it: even the distances do not seem to be in proper scale let alone planet sizes. And that’s where Sweden comes to mind. 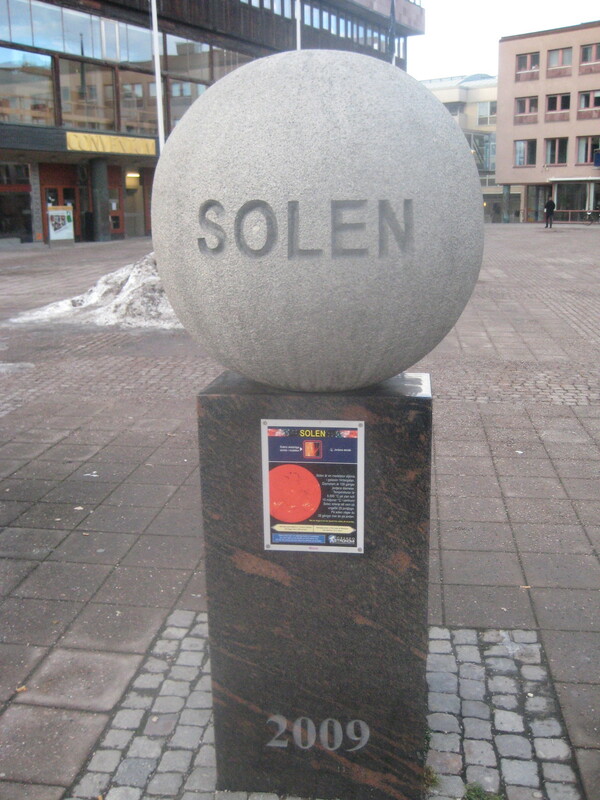 In Sweden they tried to make proper scale of Solar system. 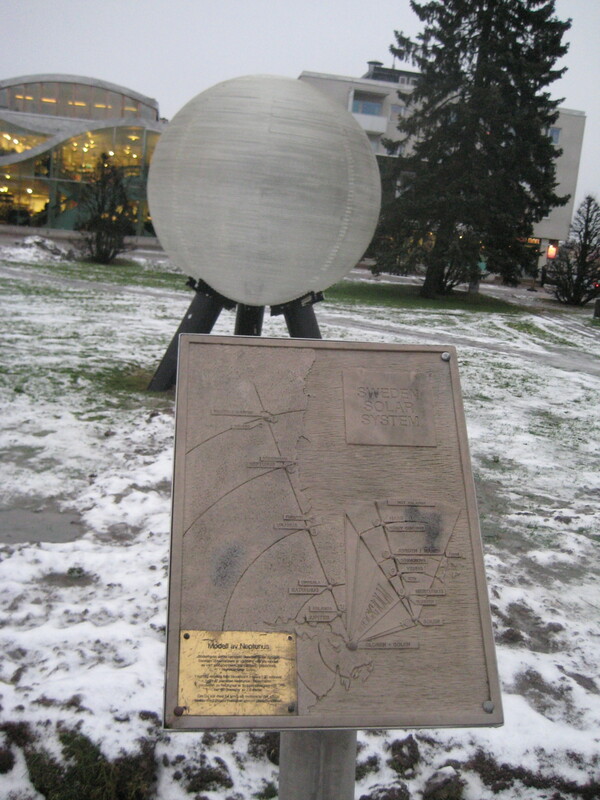 They took Globen as the reference (it was the largest hemispherical building available after all) and tried to install models of various objects around while maintaining the proper scale in both sizes and distances. Here’s an incomplete list of object on the model. 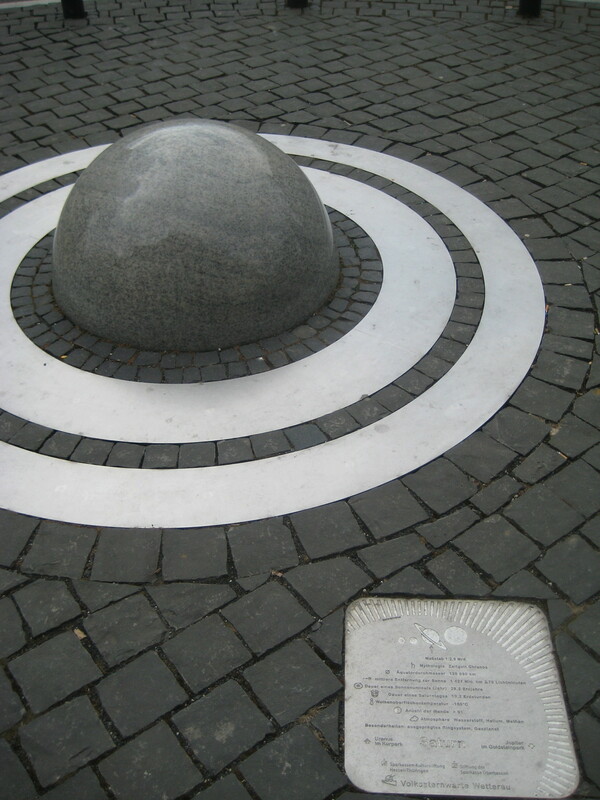 Jupiter and Saturn are not present in the model since they’d need spheres more than six metres in diameter to represent. 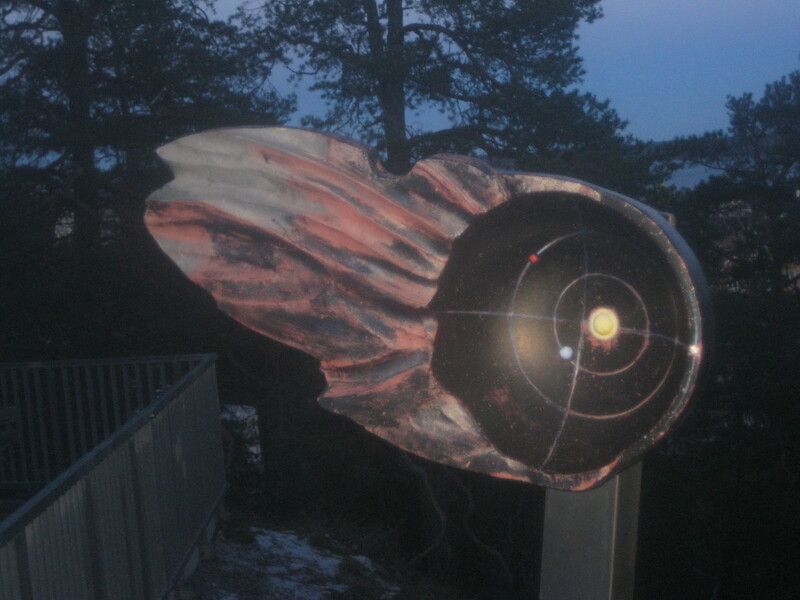 Termination shock is symbolised by an object installed in Kiruna, way behind the Arctic circle and about 1000km from Stockholm. 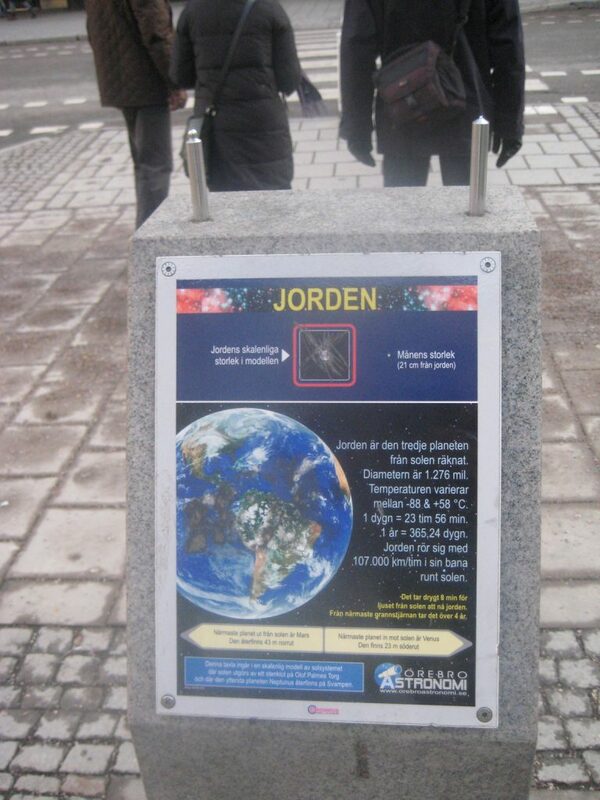 There are other objects (asteroids, comets, dwarf planets) installed in various places, including even Southern Sweden. 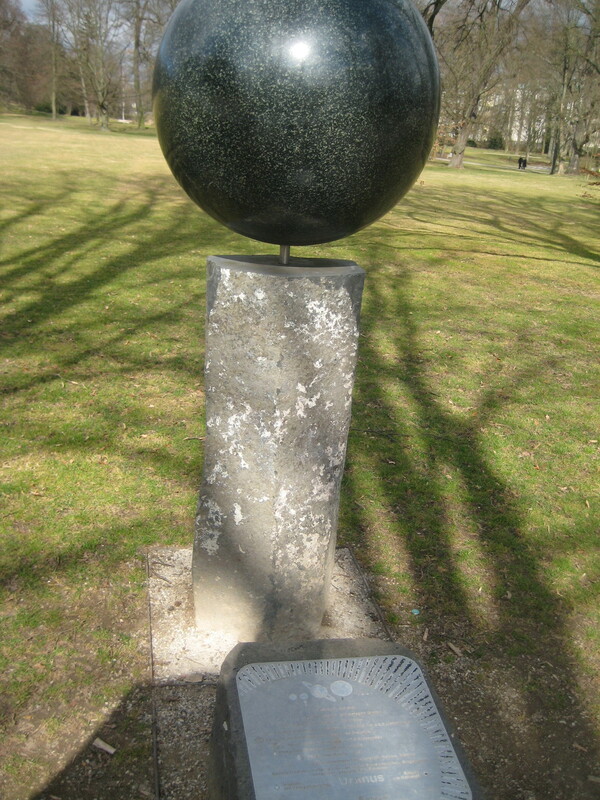 The model is large enough to accommodate various objects while keeping the scale. 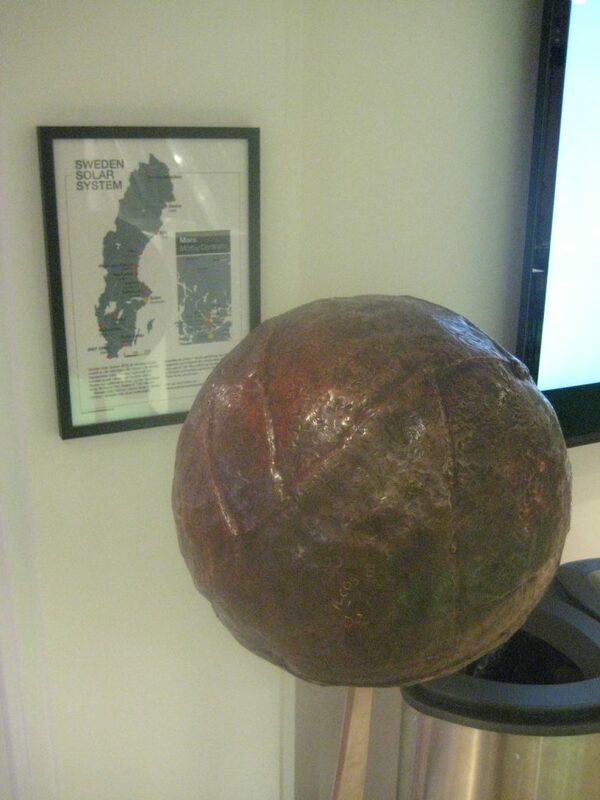 There are various models of Solar system but there’s none better than Swedish one. 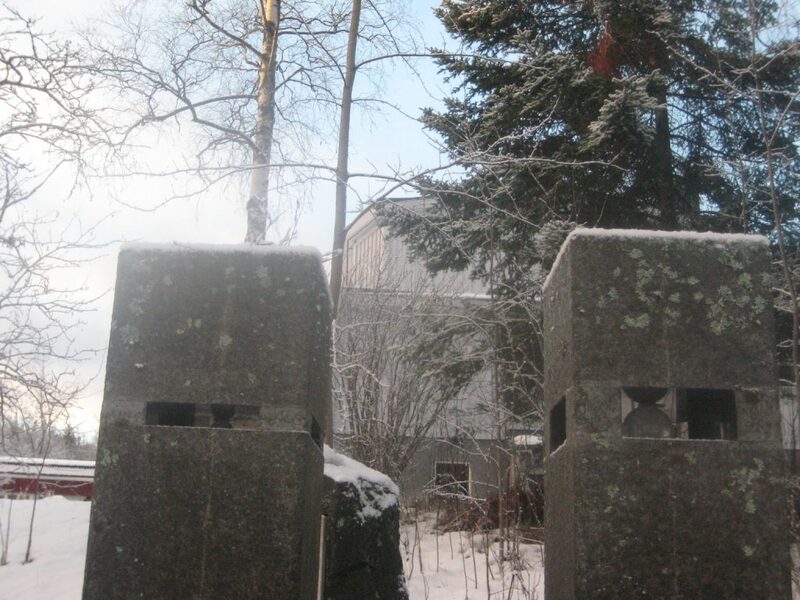 Also it gives me a pretext to visit various Swedish places again and again. This entry was posted on Saturday, January 19th, 2019 at 11:33 am and is filed under Useless Rants. You can follow any responses to this entry through the RSS 2.0 feed. You can leave a response, or trackback from your own site. Woah, wait… Why is there a tiny house on the sun? 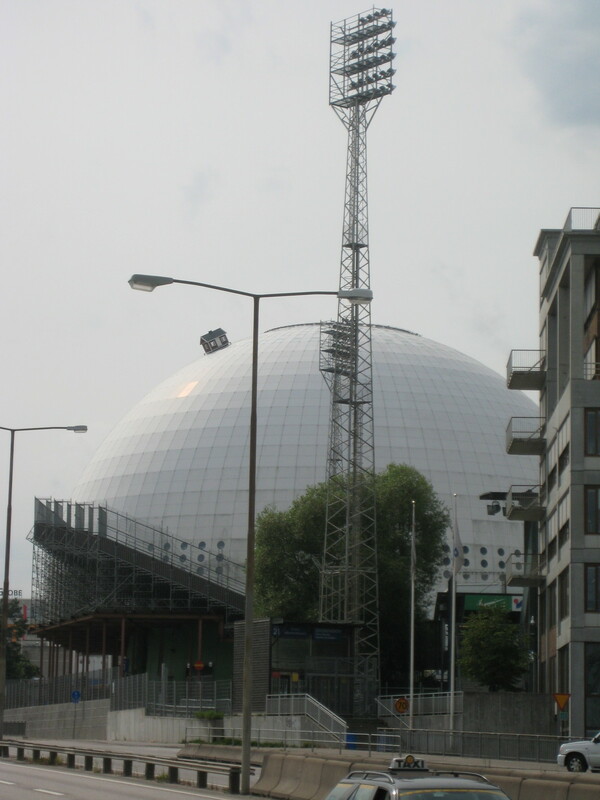 Because I took a picture there was a certain musical going in Globen and that house was part of promotion.